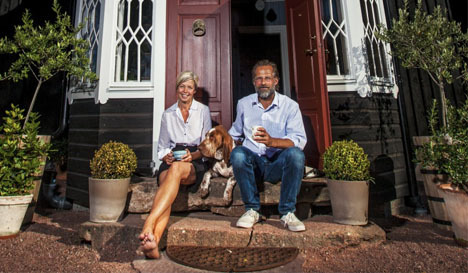 We, Hans and Jackie, run a cross-over style country lodge in the beautiful Alandian archipelago. We have been eager to keep the original farm’s Alandian atmosphere and together with the impact of Jackie’s English heritage and inspiration from trips around the world, it has become a beautiful place for us and you to enjoy. 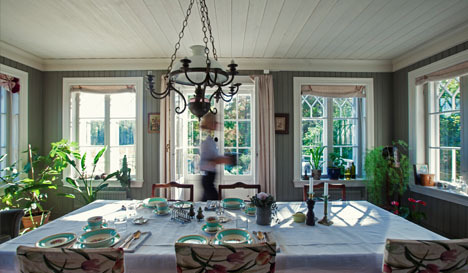 We offer farm-charm accommodation for about 20 guests in a nice and peaceful rural area, about 30 minute’s drive from Mariehamn. In our restaurant, which is open both for our guests and for locals, we offer good, wholesome meals, prepared from locally produced and organic raw material. Stayed here for 1 night at the end of May, after a long day cycling around Aland. Had a warm welcome from Jackie and Hans. Wonderful food, excellent hosts and beautiful and tranquil surroundings. Highly recommended especially of looking for tranquility. We had an excellent stay. Idyllic setting, warm friendly hosts. Rented their car for a day, got great tips from them. Good food and breakfast made by our hosts. Wonderful little sauna to indulge yourself in. the sauna basket with treats and drinks is a must! We really enjoyd our weekend there. This B&B is true paradise – peaceful, beautiful and serves excellent food. 3 course dinner was superb. 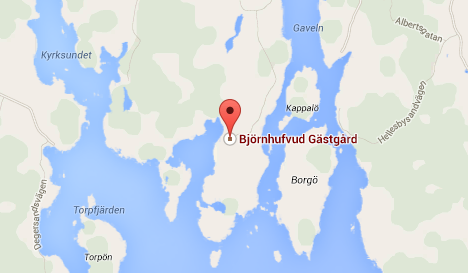 Tip – cycle around Åland. At least to Eckerö. You may loan bikes from this B&B for free. Cycle paths around are well and views pretty.